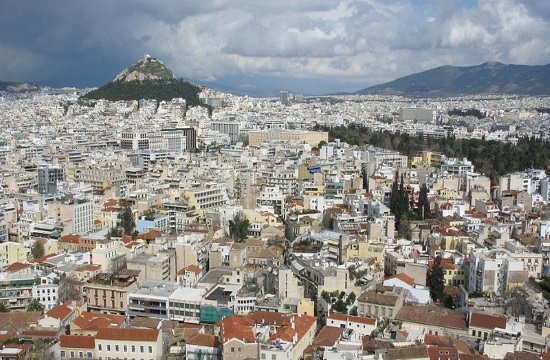 The first-ever electronic auctions of foreclosed properties in Greece will reportedly be launched next week, with commercial real estate up for sale to the highest bidder in the first phase. Environment and Energy Minister Giorgos Stathakis confirmed the development in statements to a local television station, announcing the relevant justice ministry is ready to begin electronic auctions in the middle of next week. At the same time, Stathakis noted that a law protecting a debtor's primary residence from creditors will be expanded until the end of 2018. According to reports, the e-auctions will take place every Wednesday, Thursday and Friday over a four-hour period, i.e. from 10 a.m. to 2 p.m. or 2 p.m. to 6 p.m. Some 5,000 foreclosed commercial properties will be up for sale by the end of the year, which translates into 1,250 properties per month, on average. Currently, the primary residence protection against foreclosure extends to properties valued (by the State tax bureau) at under 300,000 euros, a very high threshold that shields the "lion's share" of mortgaged residential real estate in the country, if judged by current commercial property values in Greece. Creditors and local lenders have called for a decrease in the protection threshold, a prospect that is very likely. The development is also expected to generate another round of acrimonious political skirmishing, given that both leftist SYRIZA, and its junior coalition partner, the rightist-populist Independent Greeks' (AN.EL) party, rode to power in January 2015 on a election campaign platform that included an almost universal protection of residential property from bank foreclosures and auctions. Associations representing notaries - professionals who in Greece are law school graduates specializing in drawing up contracts and maintaining registries of deeds, property transactions, wills etc. - had also blocked old-style auctions from taking place in district courts by ordering their members not to take part. The e-auction process aims to bypass this opposition, as well as disruptions and occupations of courtrooms by anti-austerity protesters.